There was the original Angry Birds, then Angry Birds Seasons, Angry Birds Rio, Angry Birds Friends, Angry Birds Space, Angry Birds Star Wars, Angry Birds Star Wars 2, Angry Birds Transformers, Angry Birds Go!, Angry Birds Epic, Angry Birds Fight!, Angry Birds Stella, Angry Birds Stella Pop!, Bad Piggies and the upcoming Angry Birds Under Pigstruction. 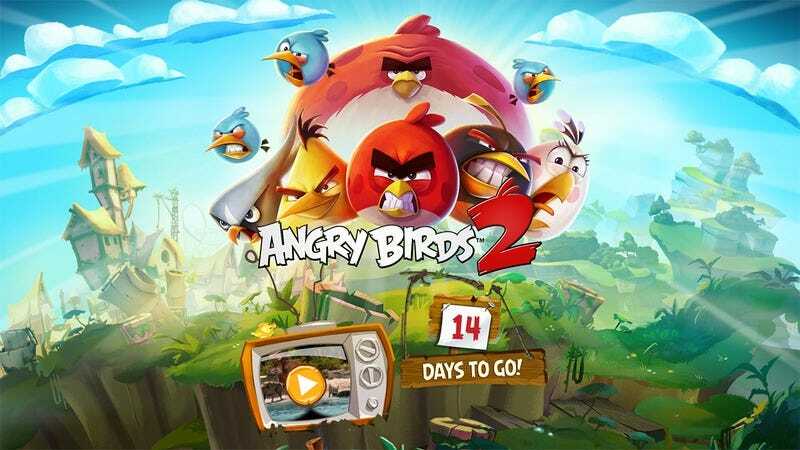 Aside from the July 30 release date, Rovio is being coy with the details for now, promising to reveal more on its various social media feeds throughout the pre-launch ramp-up. So you can take the studio’s advice and “follow Rovio on Twitter, Facebook, Instagram, Vine, and YouTube during the next couple weeks,” or you can just assume there’s gonna be a couple new birds or whatever. Because there’s probably gonna be a couple new birds. Rovio also released a brief teaser trailer that, for a moment, raises the possibility that the studio herded a bunch of actual pigs to a beach for the purposes of blowing them up. Instead, the pigs just mill about, minding their own business, which is all they’ve ever asked.